It’s here, December the official start to winter! The dark nights draw in and we all start reaching for our wooly hats and that comforting mug of hot chocolate. It’s always a hard transition, our motivation to workout and stay healthy can hit a major road block, but one good reason to don our thermal leggings and rediscover the sweat life, is the new ski season. The slopes are full of fresh white powered snow, so it’s time to wake up from our winter slumber and get ready to tame the most challenging black runs! 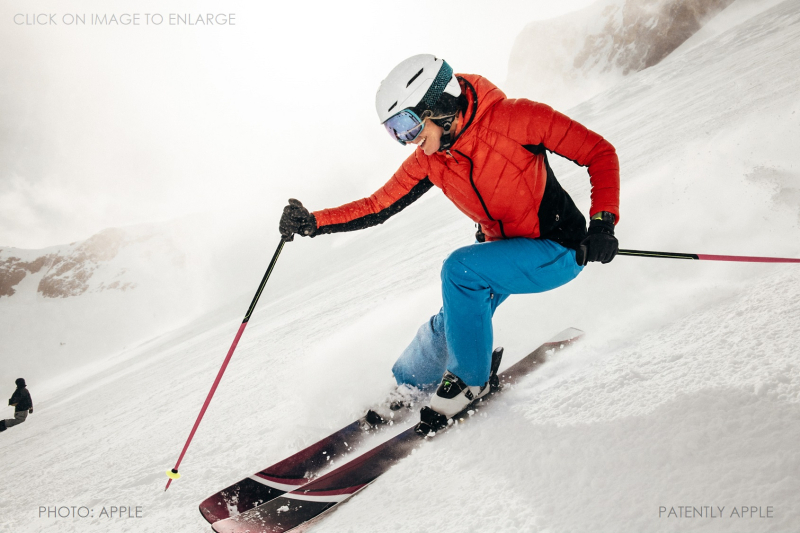 FORM co founder and head personal trainer Jerry Abadom has designed a ski program that will transform you from couch potato to king or queen of the slopes within weeks. By combining strength training, core training and power exercises, this program is specifically designed to enhance your skiing performance! Place both feet evenly on the half dome side of the BOSU ball. Squat down to a half squat position holding a strong midline position and raising the medicine ball to shoulder height. With your arms fully extended, rotate & lower the medicine ball to your right side (whilst maintaining your strong midline) as you slowly lower hips into a full deep squat position shifting the load over to the right leg, and hold for 2 seconds. Raise yourself back into half squat position and mirror on the left side (rotate & lower the medicine ball to the left side whilst simultaneously placing the load on the left leg). Then repeat moving & loading from side to side. Start position – hold the handle of the kettle bell in the right hand, stand upright with shoulders back and core engaged. Ensure all 5 toes on your right stabilising leg are firmly planted on the floor. Slowly hinge your hips back whilst lowering the kettle bell towards the ground, hinging your left knee until you have a flat back. Then drive your left leg straight out behind you, with minimal knee bend to help keep your spine aligned properly! Constantly maintain a firm grip of the kettlebell, ensure your shoulder is pulled back and your left arm engages fully during the entire movement. Then hinge your hip forward whilst locking your right stabilising leg and squeeze your right glute. Rising your left knee and left arm to help stabilise you in standing position and then repeat. Pick up the kettlebells from a dead position using correct deadlift technique, then swing both Kettlebells between your legs. Keeping your upper arms against your sides, drive your hips forward and use a pulling up motion with your arms, as if starting a lawn mower. Then immediately use an uppercut motion having both kettlebells end up between your forearms and biceps (The Rack Position) Then from the RACK position initiate the Jerk phase with a ‘dip’ in the knees (the first dip). Then quickly thrust the kettle bells up with a second dip that elevates the arm as you are pushing yourself away from the kettlebells overhead (the second dip). Finish the move with a complete lockout of your elbow with the kettebells overhead. Then slowly lower kettelbells down into the rack position, from there lower both kettlebells down between your legs and repeat swing and drive motion (the entire cycle is one rep). Stand facing the TRX anchor point, but far enough away so your elbows are 90 degrees to your body, whilst keeping tension on the straps, Lower yourself into squat position. Jump up whilst pressing the handles down, extending the arm through the elbows, contracting through the triceps. Tuck your knees up into your chest and land on the other side of the line ( towel, roller, bar). On landing make sure it’s toes first, rolling the weight back to the heels, squatting back and bending the elbows, immediately initiate another tuck & jump in the opposite direction. Each jump counts as one rep.
Start position – facing way from the TRX anchor point, place handles under your arms (inside of your elbows) and dropping your body weight into the TRX, then step back to a 45 degree angle and assume sprint start position. Placing the load on the front knee, rise the rear knee forward and generate a powerful drive out of the sprinter start position. Finish the movement with the front leg fully extended and opposite leg in a high knee drive position. Lower knee and body weight to the start position and repeat. Start in a suspended plank position holding the Bosu, make sure your shoulders are directly over your hands, feet are in the TRX loops, toes facing down and hands directly underneath your shoulders. Bend both knees at the same time and draw them together towards your left elbow. Extend both legs straight again to return to plank position. Draw both knees towards your right elbow. Extend both legs straight and return to plank position for one rep.
Start in a suspended plank position, make sure your shoulders are directly over your hands, feet are in the TRX loops, toes facing down and hands directly underneath your shoulders. Pull one leg up to your chest then alternate your legs and pull your opposite knee up towards your chest repeating the motion whilst maintaining a strong plank position. Make sure to keep hips level with your shoulders at all times. Perform this Ski workout once a week, for weeks 1&2, and twice a week, for weeks 3&4 before your next ski trip. Make sure to fully warm up and cool down before and after each workout. Enjoy! !